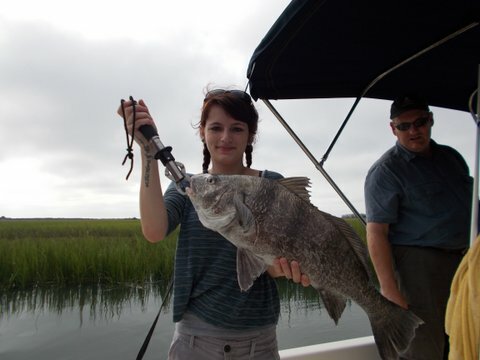 Fishing has been good all summer. 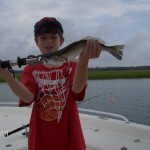 The trout populations seemed to have returned this year. 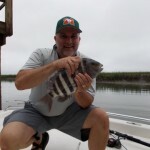 We had a mild winter after suffering from several very cold winter months in years past and killed off a lot of our trout. 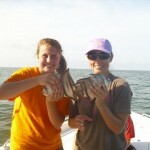 We have caught more trout this summer than all of last year and the fall fishing should even be better. 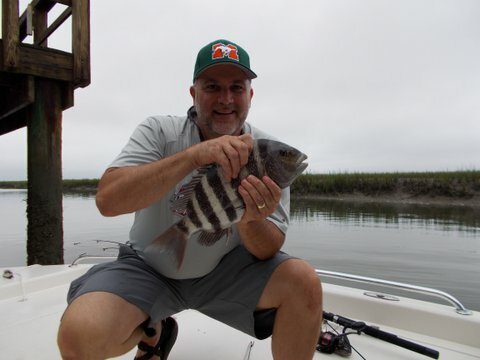 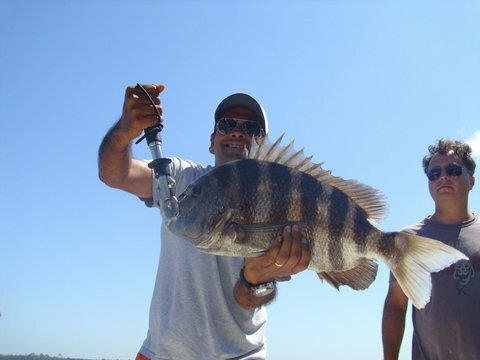 Sheepshead are biting again in the late summer and like the trout, the fall is the best time to catch them. 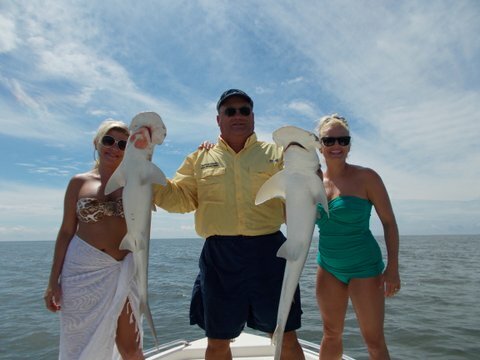 Shark fishing will be winding down soon but we have had many good trips with multiple catches of good sized sharks this summer. 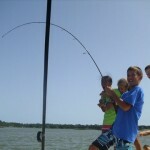 Redfishing has been decent but the sizes have been small where we are catching them. 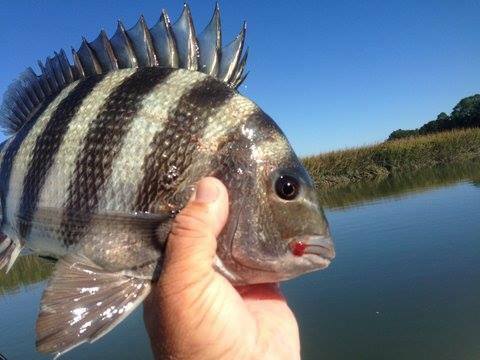 There are plenty of shrimp and mullet in the creeks so catching bait has not been a problem either. 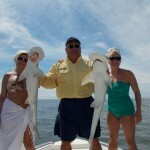 The reefs off our coast have been very productive all summer. 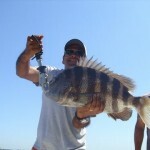 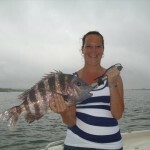 One of the reefs we fish is full of black sea bass. 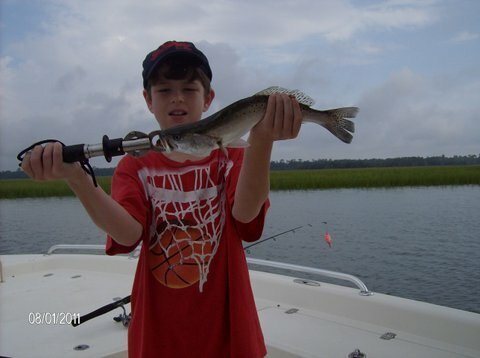 Drop down a line and catch one on whatever bait you choose. 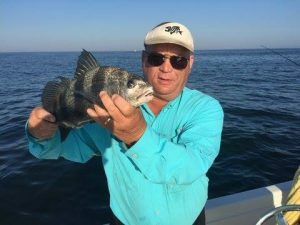 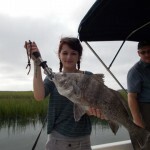 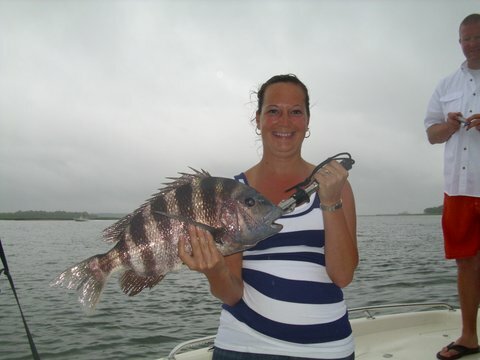 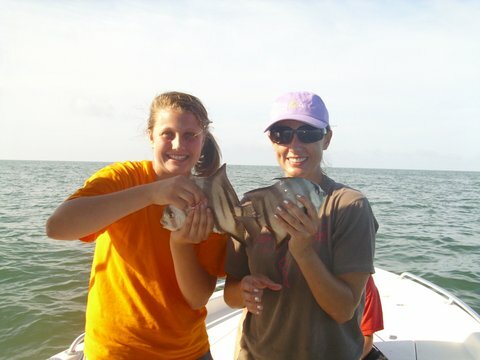 Other reefs seem to have a more varied catch such as flounder,redfish, black drum, sheepshead, spadefish,weakfish, bluefish and ladyfish. 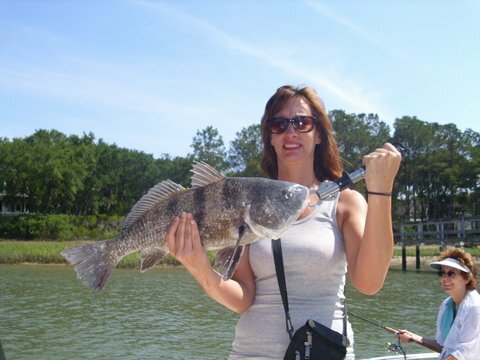 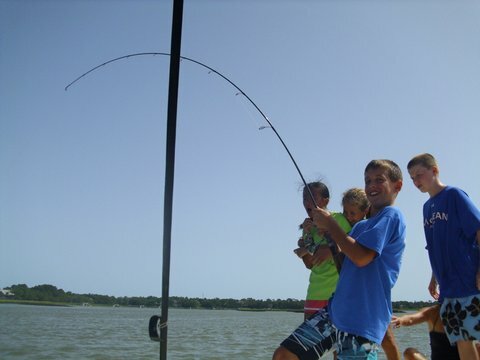 With cooler water temps coming in the fall the fishing will be even better. 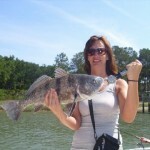 This entry was posted in Uncategorized on August 28, 2012 by .